It’s a while since I’ve seen anything by David Lynch, but I remember that he had a very odd way of seeing the world. Best known for films like Eraserhead, The Elephant Man and the weird Twin Peaks, he’s also had a number of solo art and photography exhibitions. His most recent exhibition and accompanying book is titled Factory Photographs, a rather self explanatory title, and was at the Photographers Gallery in London early in 2014. Unfortunately, this was the only gallery it came to in the UK, and I didn’t make it to London to see it. However, I have managed to get hold of the book (£40 on Amazon or £25 if you look on their marketplace) to see how he sees the world I am familiar with. Reading the preamble in monographs is always interesting, not only to put the work into context, but also to understand how an artist thinks and where he is coming from. In this respect, I found a kindred spirit in Lynch, which I found heartening, as I thought that its nice to find that a serious artist appreciates the industrial aesthetic like I do. I should really make the effort to see some more of his films to discover whether that is a good thing or not! From a style perspective, Lynch focuses on both the details and broader landscape and has what I would call a ‘snapshot’ aesthetic, although this may not necessarily be a reflection of his approach. Certainly the overall look is very dark, although this could be just the book printing – you can never tell until you see prints (which I’ve not) however I wouldn’t expect them to be too far away from the pages of the book. I like the fact that the shadows are very deep and at times blocked up, something I’m constantly being told is a bad thing in my own work. But sometimes you need that to create an effect, something not all monochrome photographers appreciate as a full range of tones seems to be paramount in many circles. The photographs were taken by Lynch on his film making travels, where he always took a still camera. However, the majority of those in the book were taken in Poland (and fairly recently too) although there are a few from Britain as well. I enjoyed the book, although it’s definitely an acquired taste, and his interpretation of the industrial landscape (and the subject matter within it) is very different to my own in many respects. 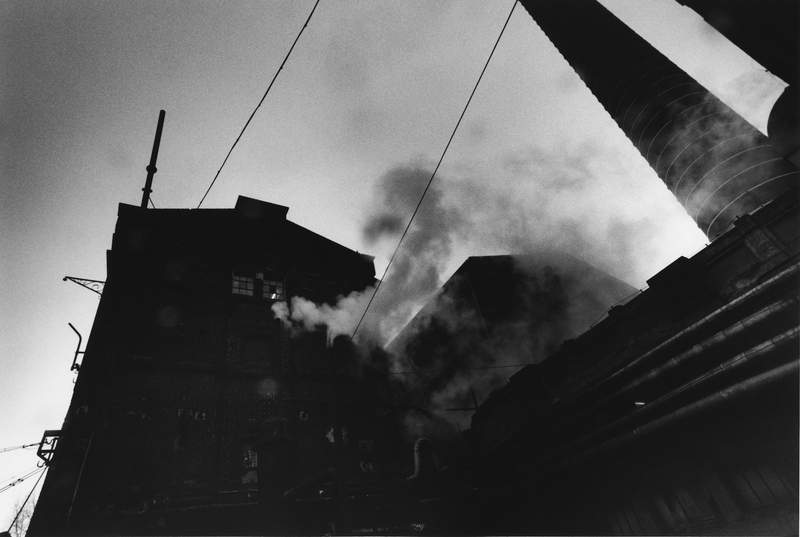 I’d definitely check out some of the work online before buying it – if you like the industrial scenes by the likes of Bernd and Hilla Becher, then you’ll hate the work of David Lynch! I vaguely remember Eraserhead as being pretty far out there. Dune, Wild at Heart and Mulholland Drive I found more enjoyable. (Didn’t stick to the end of the Twin Peaks series). Anyway, interesting to see that he is photographer as well.